In our June Movie Preview: Part One, we took a look at what the first two weeks of June had to offer as far as cinema goes. Snow White and the Huntsman had a pretty impressive opening weekend, earning $56.3 million in the domestic box office, beating Men In Black 3, which only made $29.3 million. But what does the rest of June have stored? June 22nd sees a three-way showdown between the following, but which will come out on top? Seeking a Friend for the End of the World should seem like a smash, teaming Keira Knightly and comedy superstar Steve Carell together. However, there hasn’t been much of a marketing campaign behind it. As it stands, opening between $25-30 million looks like its window. How well it holds up will also depend on word of mouth, but $70-80 million would be good. Will anyone watch our movie? AL: Vampire Hunter, based on the book of the same name, definitely has a following. That being said, there hasn’t been a huge marketing push either and one wouldn’t expect it to be able to draw many people outside of its target audience. $35-40 million looks like a possibility, but it’ll fade relatively fast and finish with $90-100 million. Brave is the one to watch. Pixar had its first critically rotten film (according to Rotten Tomatoes) in Cars 2 and its first film since A Bug’s Life to not reach $200 million domestically. Brave sees a return to original movies instead of sequels, though the story may seem too similar to something like How to Train Your Dragon to some audiences. That being said, it should open strong between $65-70 million and finish with $230-240 million. The female heroin should help draw in female audiences. But, if its not well received, expect it to fail to reach the $200 million mark. Perry has been remarkably consistent in box office performance and there’s no reason this will be any different. $25-30 million and a $80-90 million total seems very possible. Ted stars Mark Wahlberg, Mila Kunis and a foul-mouthed teddy bear. This is gonna be a big draw among young males, but it’s limited in its audience. $20-25 million for its opening and $50-60 total. Magic Mike, starring Channing Tatum, looks to be counter programming. Being about male strippers will bring in the female audience. Question is, can it transcend past that like Bridesmaids did? I’m guessing yes to a degree, with a $40-45 million and $85-95 million totals will be in order. People Like Us starring Chris Pine, Olivia Wilde and Elizabeth Banks also will struggle with a lack of marketing (at least so far). It’s a nice young cast full of stars, though I don’t think any of them truly become household names yet. It also will have a ton of comedies to compete with by this point. $25-30 million opening and a $55-65 million total seems to be be all it can do. 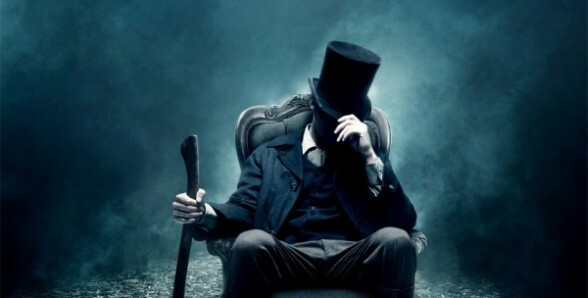 That about wraps up our June 2012 Summer Movie Preview. July will be another huge month, with two big comic book movie releases, The Amazing Spiderman and The Dark Knight Rises. Next month will definitely bring in the big bucks. But until then, enjoy what June has to offer! 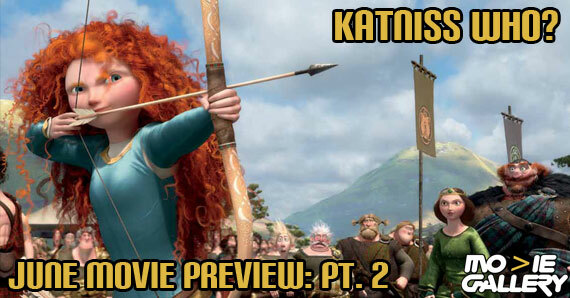 This entry was posted in Previews, The MG Blog and tagged brave, elizabeth banks, Film, June, mark whalberg, movie, olivia wilde, pixar, preview, reviews, rotten tomatoes, Summer, ted by LukasE. Bookmark the permalink.